At the recent National Shared Mobility Summit, Chicago Transit Authority President Dorval Carter introduced the keynote speaker, former US Department of Transportation Secretary Anthony Foxx, now Chief Policy Officer at Lyft. In his remarks, Carter asked the audience rhetorically “What kind of city do we want?” as a heuristic to guide the decisions that elected and appointed officials and the public need to consider on a regular basis. Doing what’s right will enable the city we want, but unfortunately, too often, those in power lose sight of this critical question and default to doing what’s easy. While at the Summit, I served on a panel with Todd Plesko, Vice President of Planning and Development at Dallas Area Rapid Transit (DART), where they recently introduced fare capping. At DART, that means that riders “will never spend more than the total cost of a day pass in a single day, or the total cost of a monthly pass in a calendar month” as long as riders use the GoPass mobile app or a registered GoPass Tap card. The effect is that all riders will benefit from the reduced price of a daily or monthly pass and not just those who have the cash or commuter benefit to pay for it upfront. Currently, only a couple of transit agencies in the US have fare capping while others (including the US’s largest transit system, NYC’s MTA Transit) will be implementing them as they replace their existing fare systems in the upcoming years. Why is fare capping so critical for creating the kind of city we want? Because the current structure of most transit systems forces poorer riders--those who depend on transit and buy their trips one at a time at full price--to subsidize the reduced passes that wealthier riders can afford. That’s bananas and certainly not the kind of city I want to live in. We should be trying to identify ways to help those in need instead of helping those who already have the upper hand. 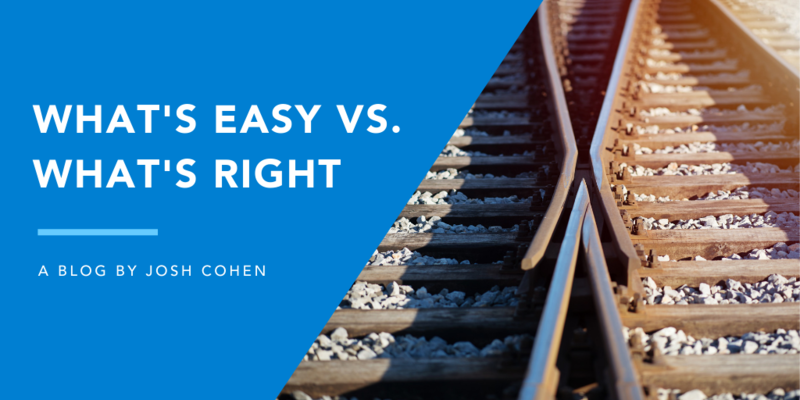 This dichotomy between doing what’s right vs. what’s easy has recently impacted the region where I live, roiled recently by a decision from Duke University to rescind its prior support for a bi-county light rail that would connect three of the largest employers in North Carolina in Durham and Orange Counties. While Duke’s decision was nominally about disruption concerns to its medical center, their decision to not even agree to mediation to discuss those concerns indicates that their hesitation is more deep-seated. Transit planner and former transit board member Christof Spieler’s recent book Trains, Buses, People identifies the truism that “successful transit needs to go where population densities are highest.” Thus, that means the best transit will serve the high-density corridors like where the Durham-Orange Light rail was supposed to go, serving the University of North Carolina Hospitals, Duke University Hospitals, downtown Durham, and North Carolina Central University. Since density is the best place to put transit, that means the best transit projects face the biggest opposition; there are more people, businesses, and existing roadways that you need to navigate in dense, urban areas. In Durham, that meant ensuring that the light rail project served one of the largest employers in the state. Unfortunately, Duke did what was easy for them--killing the light rail--as opposed to what’s right for the community. In an example that is salient in many communities this time of year, the topic of cleaning off snow-clogged sidewalks also reflects this choice between doing what’s right vs. easy. In many communities, the responsibility of cleaning off sidewalks after snow is the responsibility of the homeowner or landlord. But in a city like Boston where it snows regularly and is home to hundreds of thousands of both able-bodied and mobility-challenged people who can’t navigate uncleared sidewalks or the snowplow detritus at crosswalks, the responsibility should be with the City. Whether it’s instituting fare policy, identifying the best place to put transit infrastructure, or removing snow from sidewalks, doing what’s right isn’t easy, but it’s what we need to move forward and create the city and community we want. Let me know what kind of city you want and what hard decisions are on the table for your city at this moment in the comments, or tweet me @CohenJP.